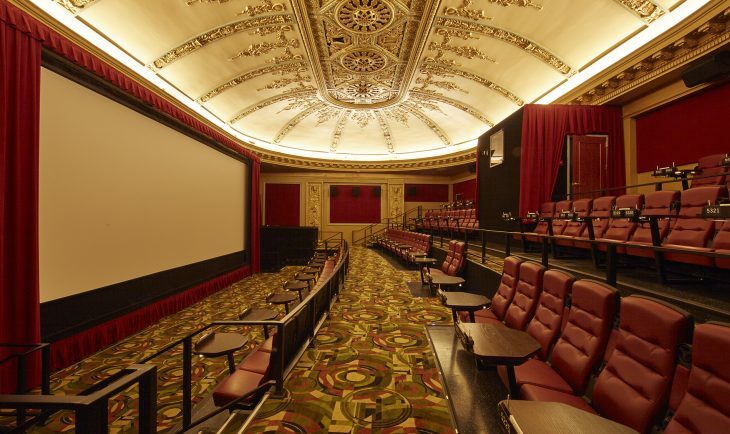 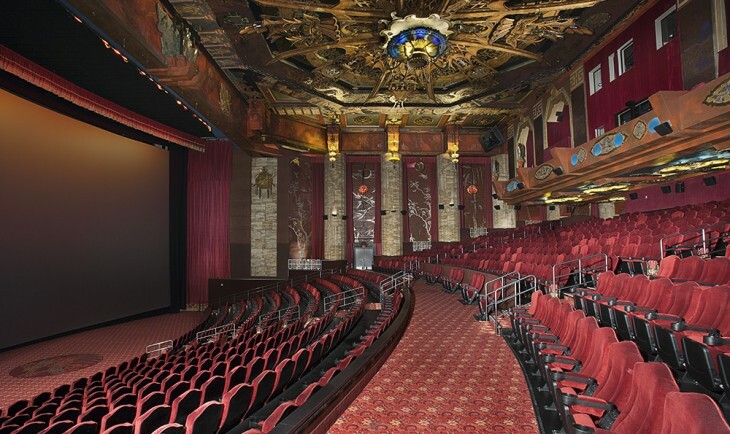 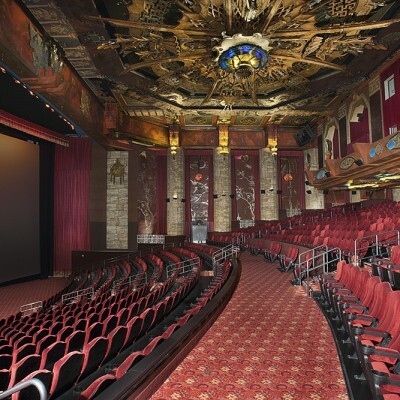 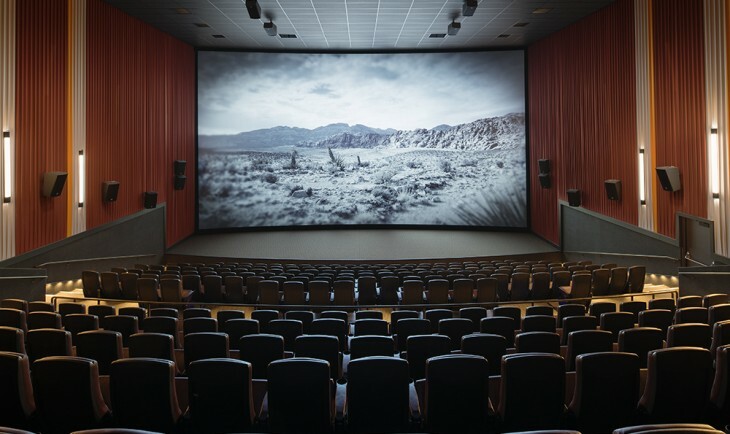 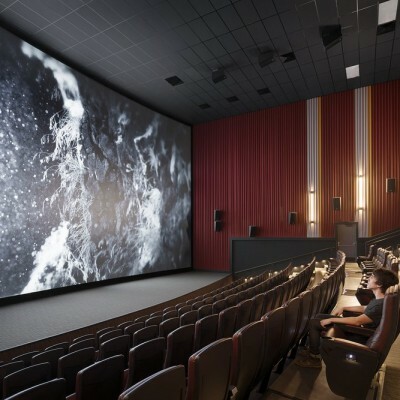 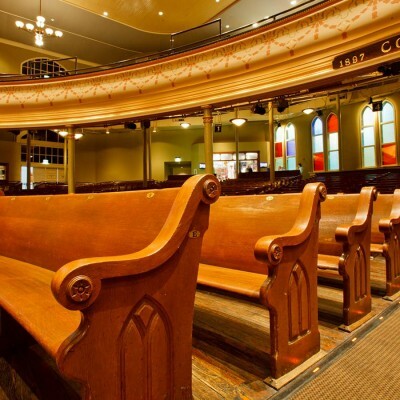 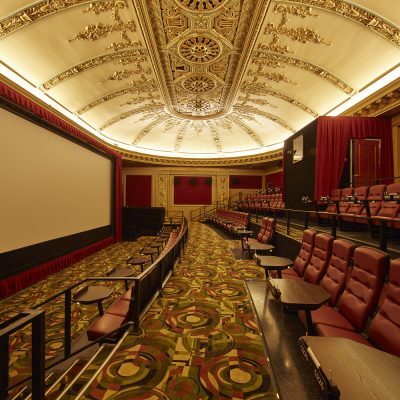 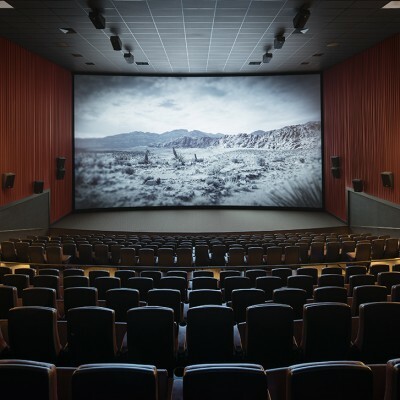 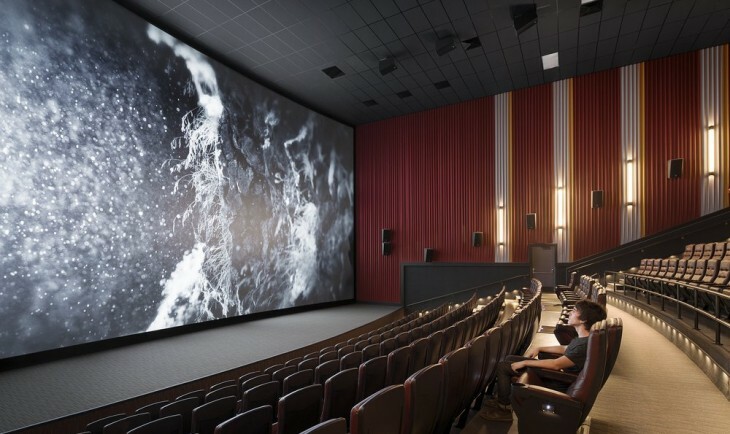 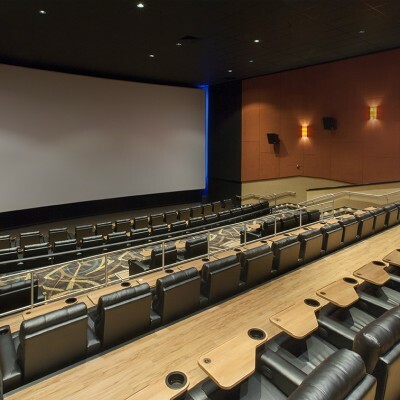 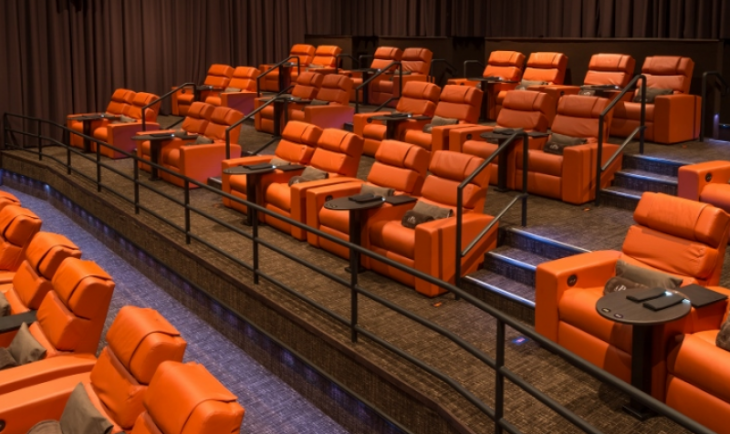 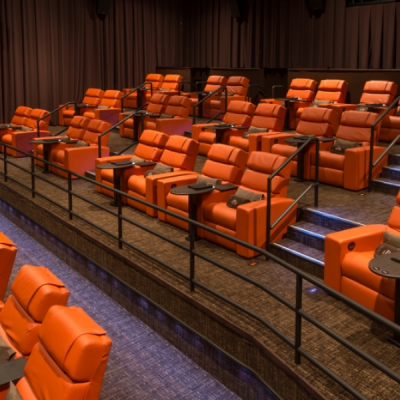 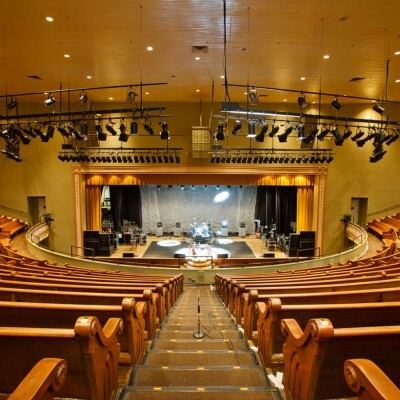 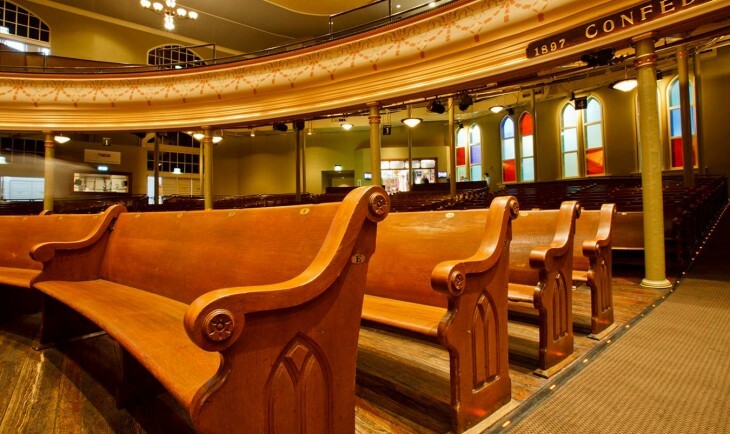 Restored by Alamo Drafthouse Cinema, the 100 year old theatre features Tempo Architectural and Theatre lighting throughout. 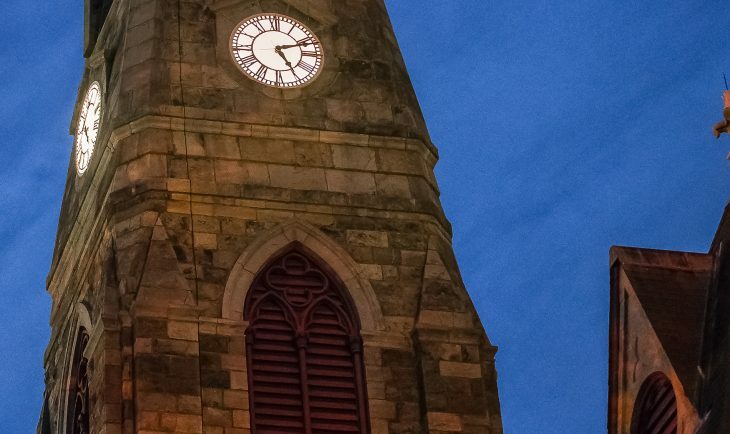 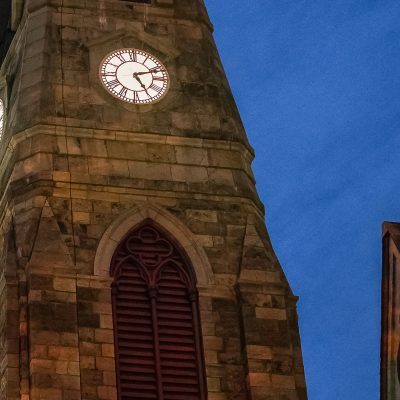 New Lighting Enhances Historic Clock Tower. 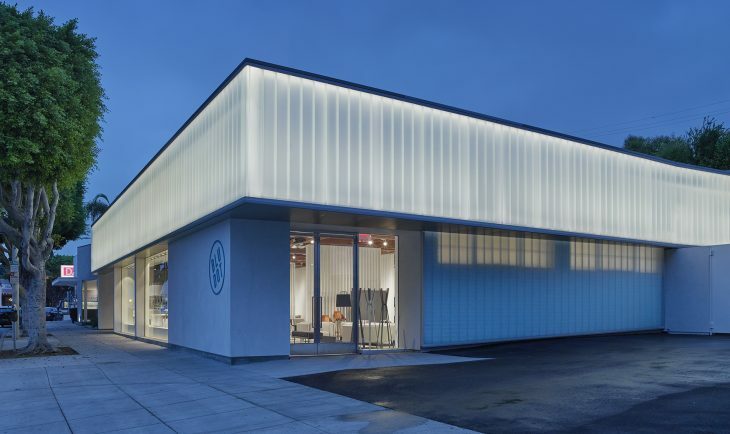 C6RX Highlights Dramatic West Hollywood Retail Store Façade. 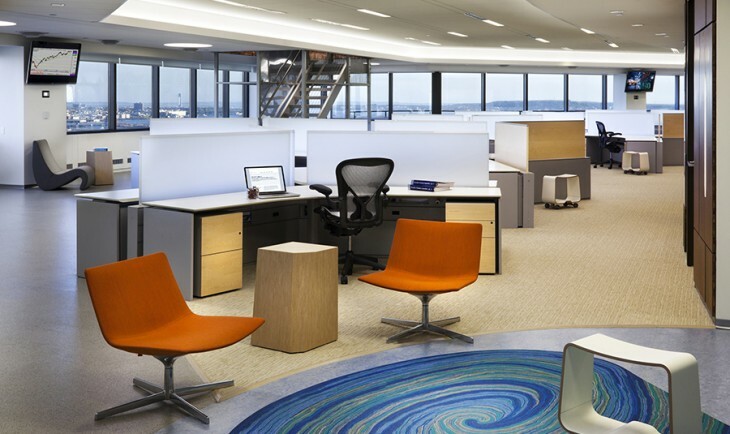 C7R luminaires directly illuminate this task intensive space. 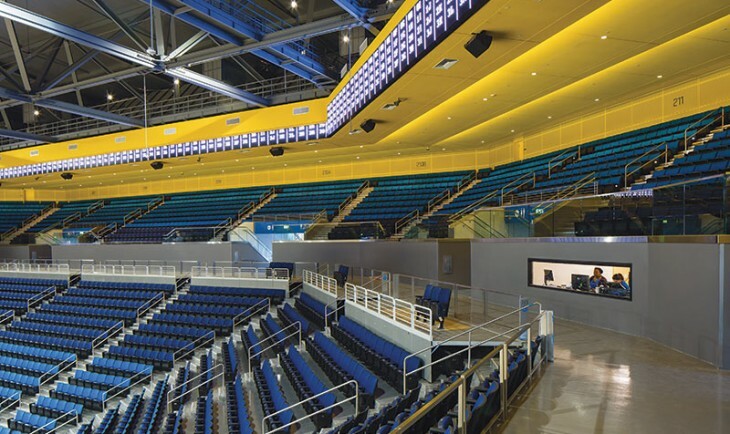 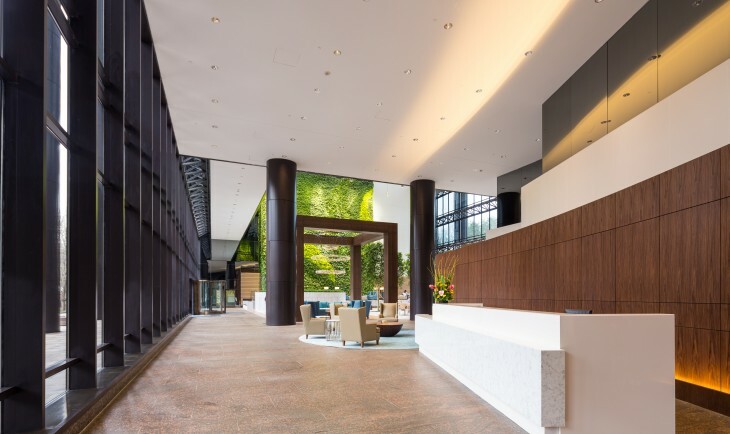 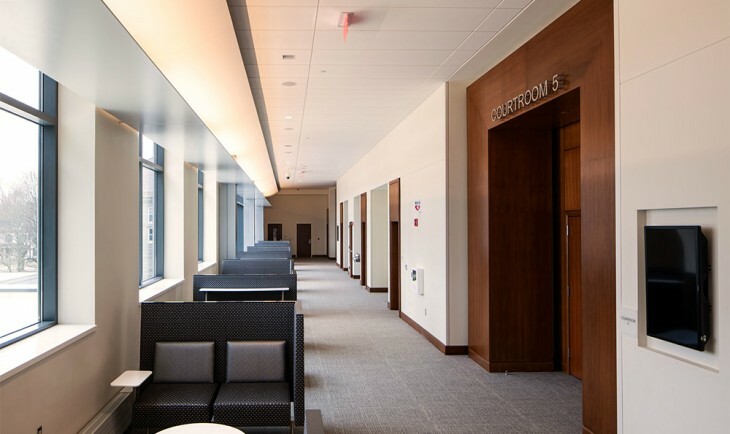 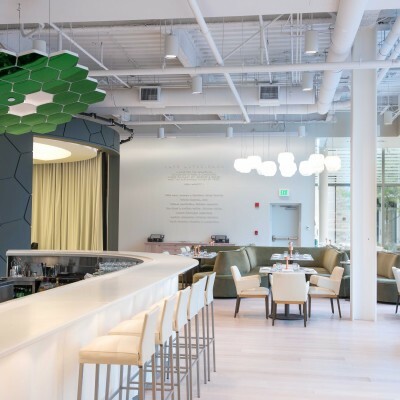 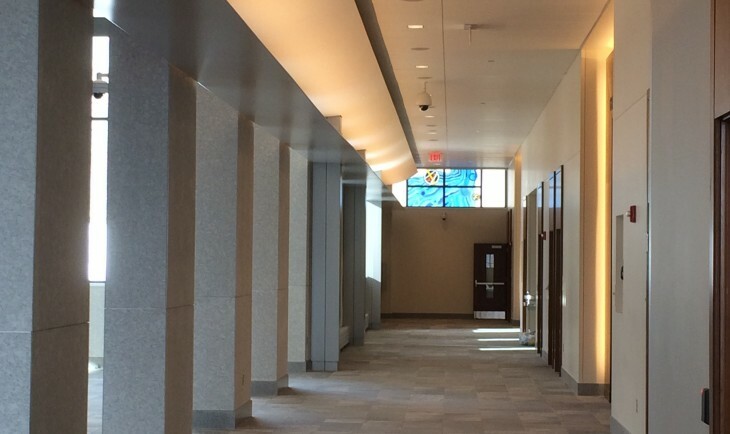 Additionally, a single run of indirect C7R luminaires illuminates the ceiling to complement the daylighting. 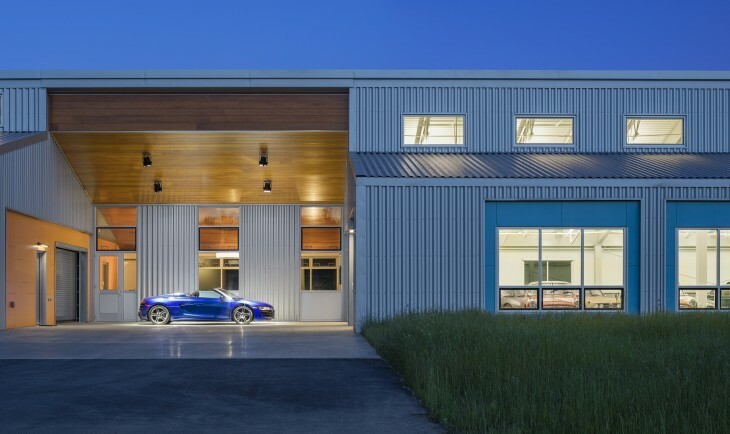 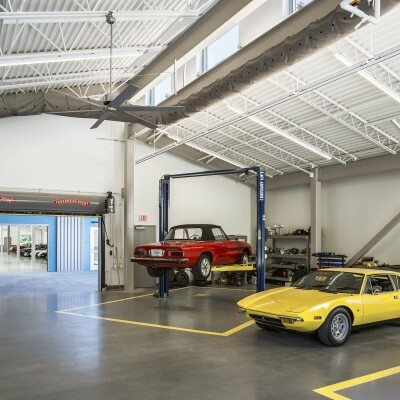 Inverted C7R fixtures illuminate the ceiling creating a single luminous plane that reflects light uniformly into the garage. 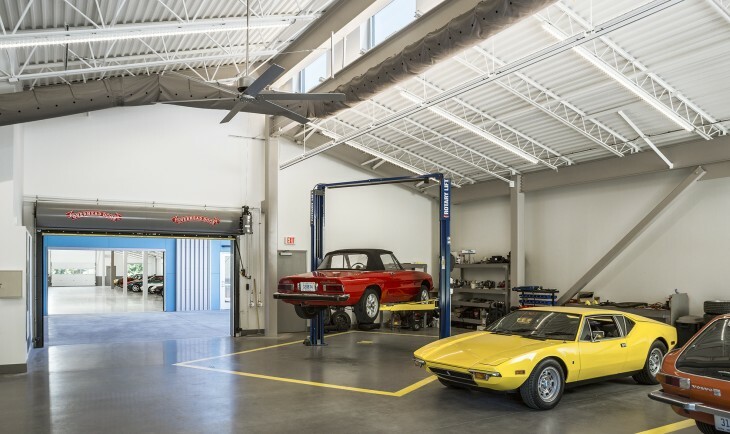 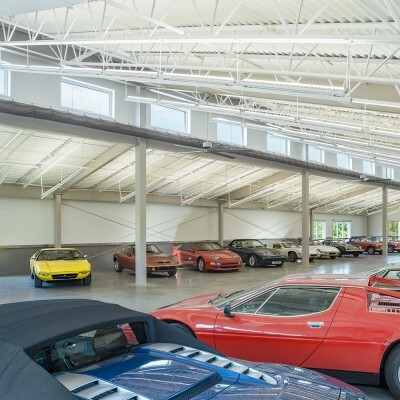 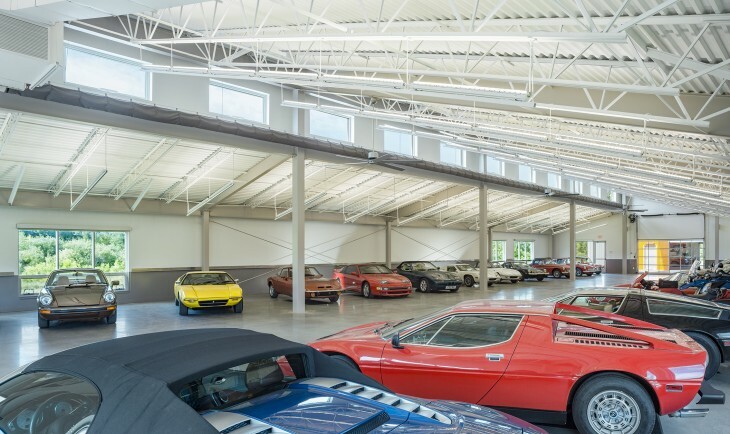 C7R Industrial provides both direct and indirect illumination of a classic car collection. 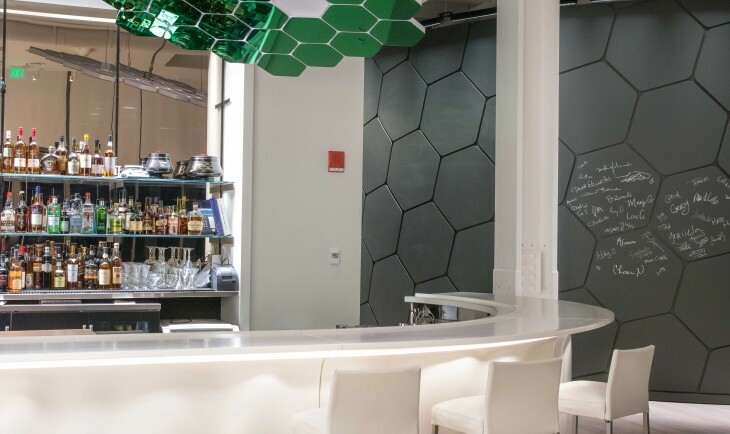 C3S highlights the textured bar front. 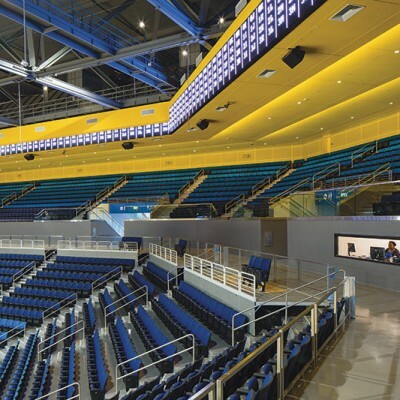 To illuminate back-of-house spaces such at catwalks and stage sides, Tempo furnished dual circuit C7R and C4R LED linear lighting. 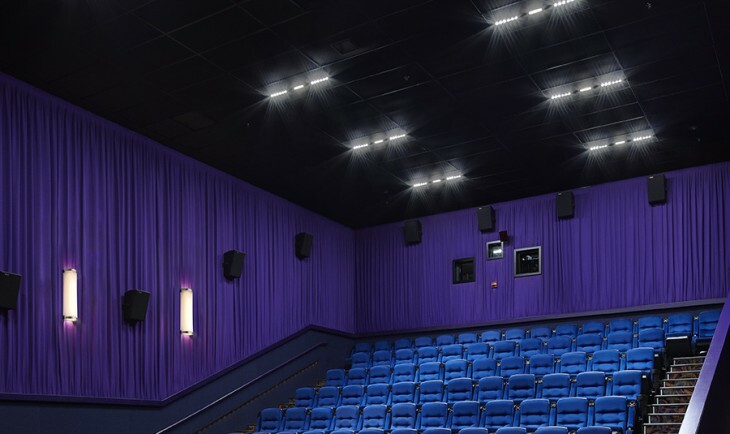 Blue LED modules provide discrete running lights during productions and 3000K white LEDs deliver general illumination for everyday. 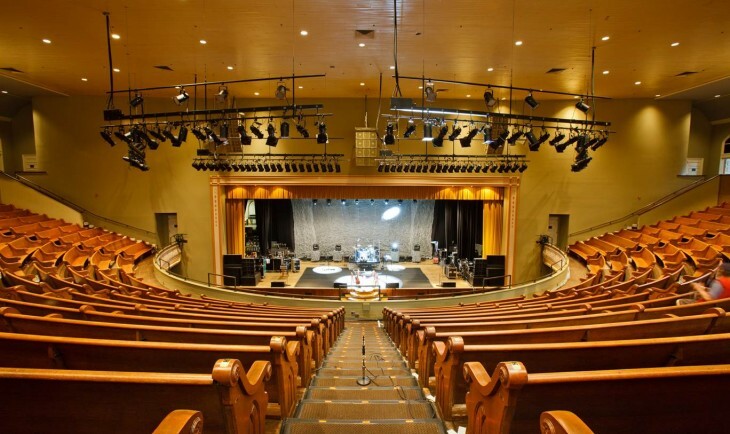 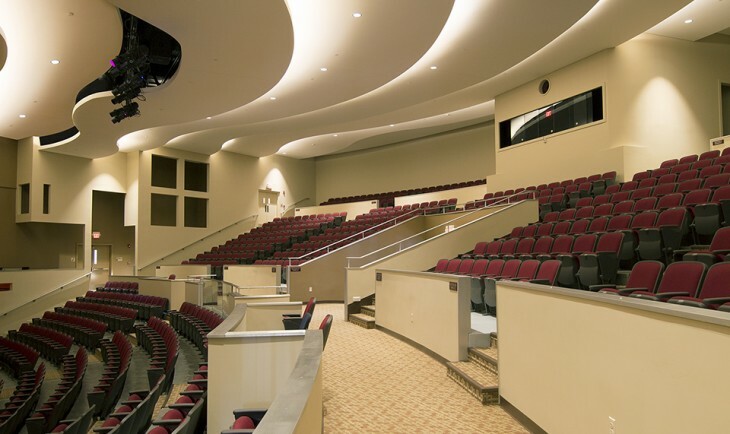 Square Supplemental Rail Lights illuminate the stairways within each of the two theatres. 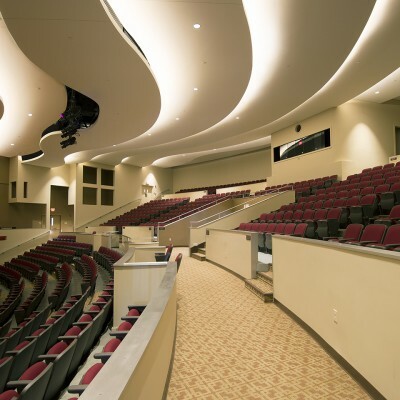 Oppositely canted LED boards provide a symmetric and wide distribution of light across the stairs to meet both IESNA recommendations and local code requirements for egress pathway lighting. 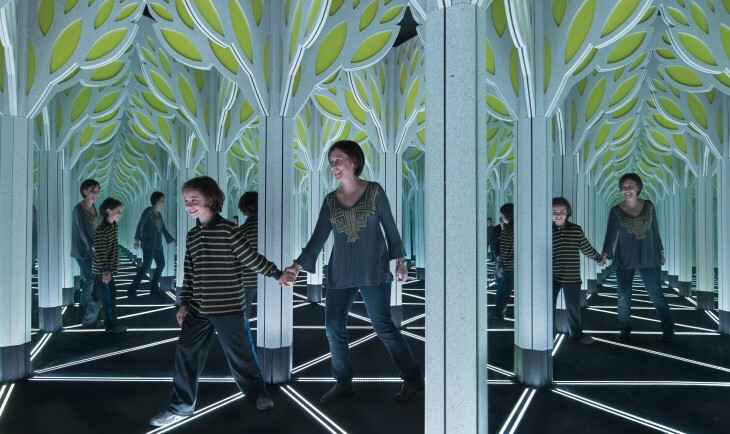 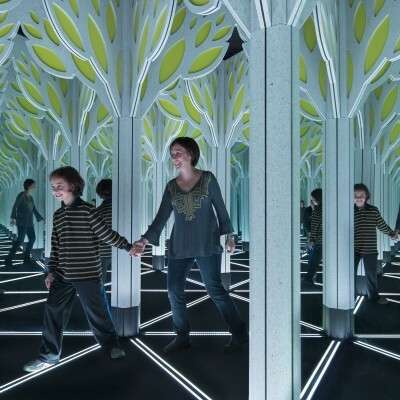 SWIII Wall Light illuminates pathways and steps. 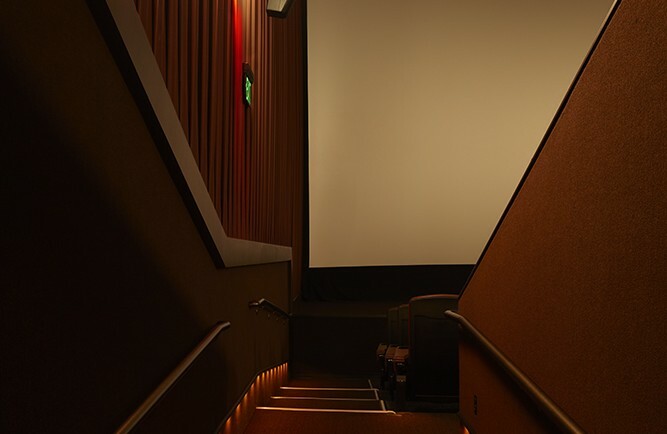 Vanguard Illuminated Displays are installed on steps to indicate row numbers. 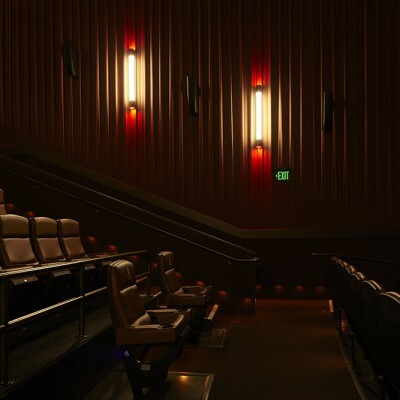 SWIII Wall Lights illuminate pathways and steps.Integrated Rail Lights (IRL) illuminate steps on interior aisles.Low Profile Stepnose installed on step edges reflect light from SWIII and IRL to distinguish steps in a dimly lit theatre. 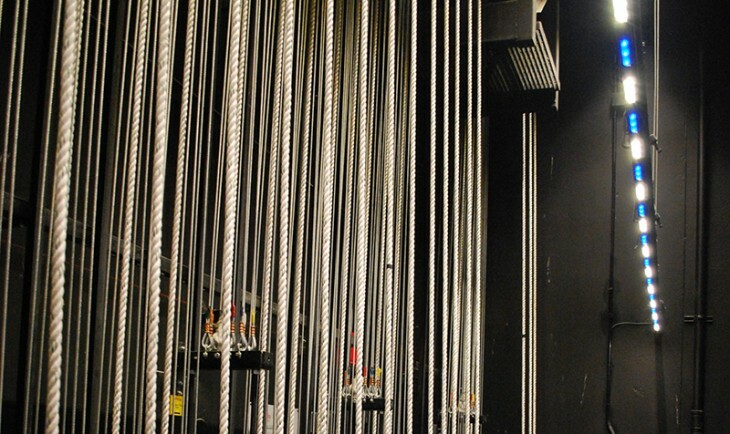 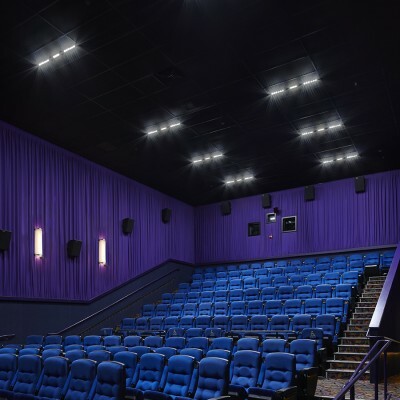 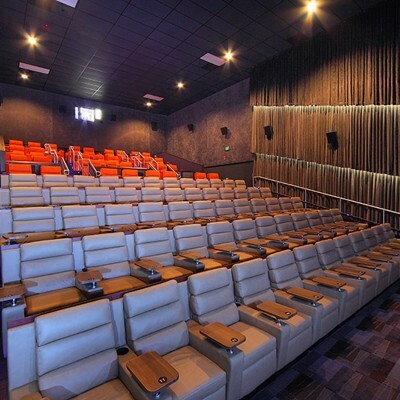 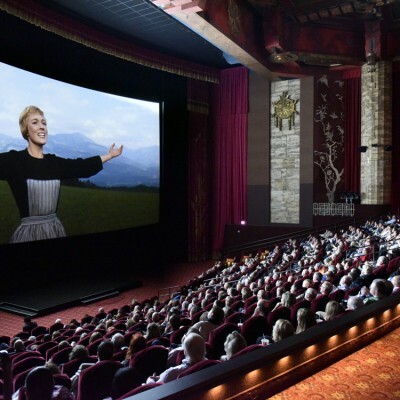 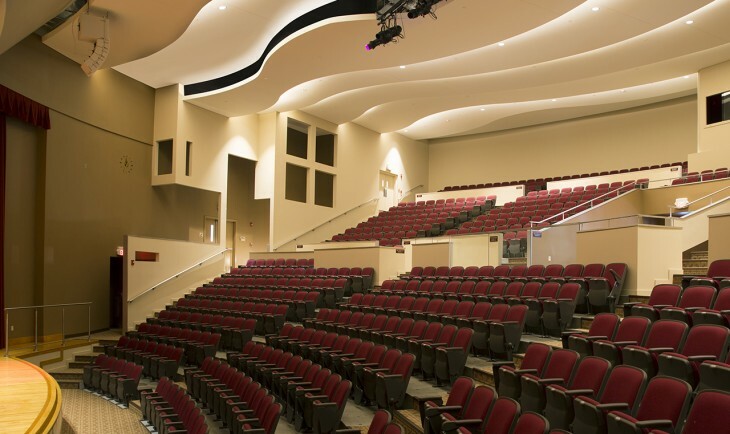 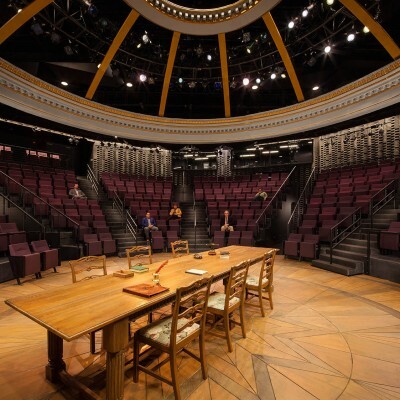 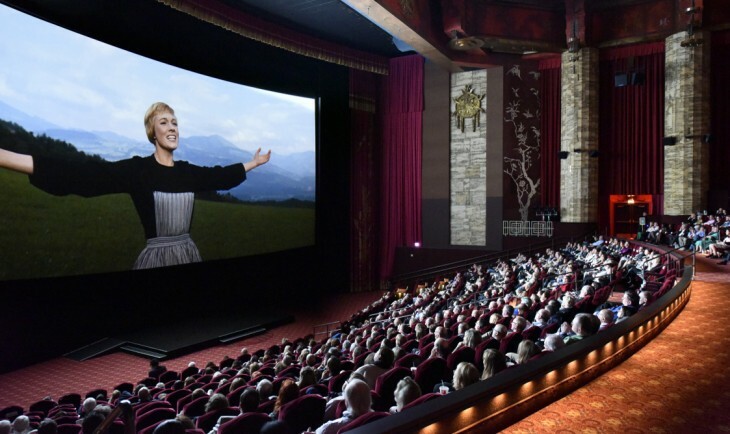 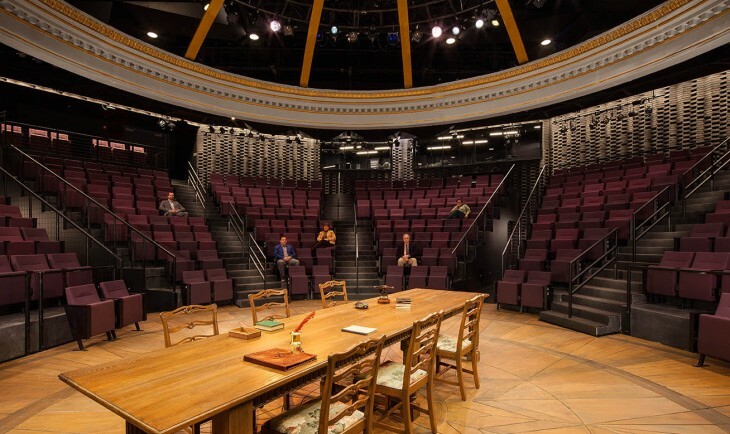 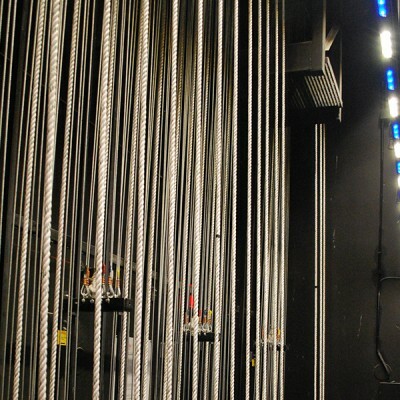 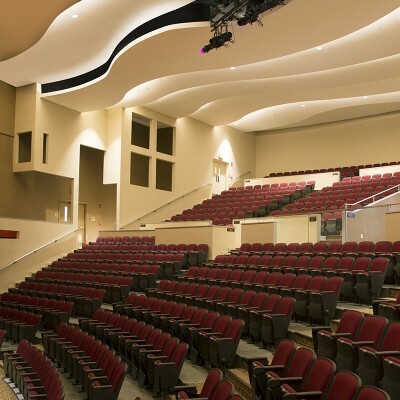 House Lighting System (HLS), installed in theatre ceiling, provides various lighting scenarios such as cleaning, house lighting, trailer and movie screening. 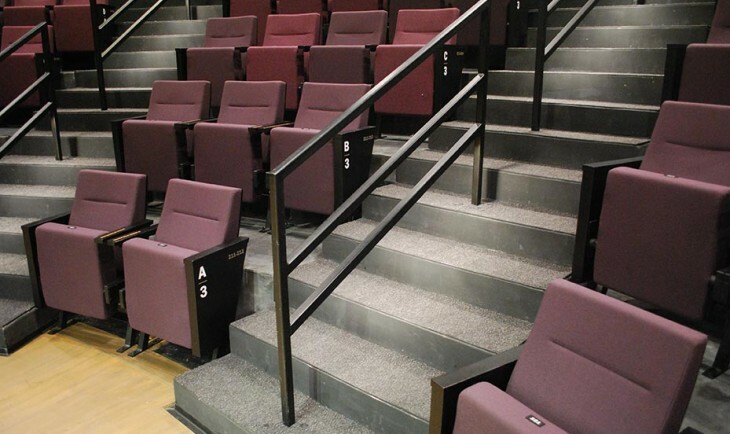 Guardian Step & Aisle System distinguishes carpet to floor and step edges. 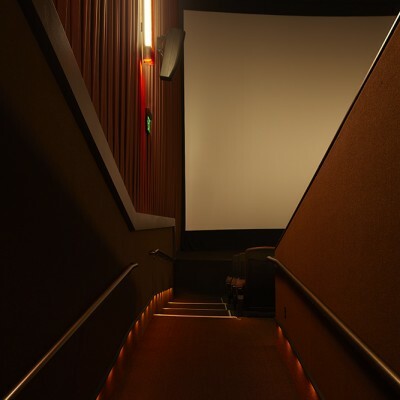 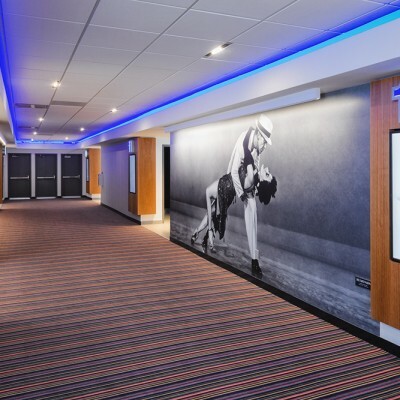 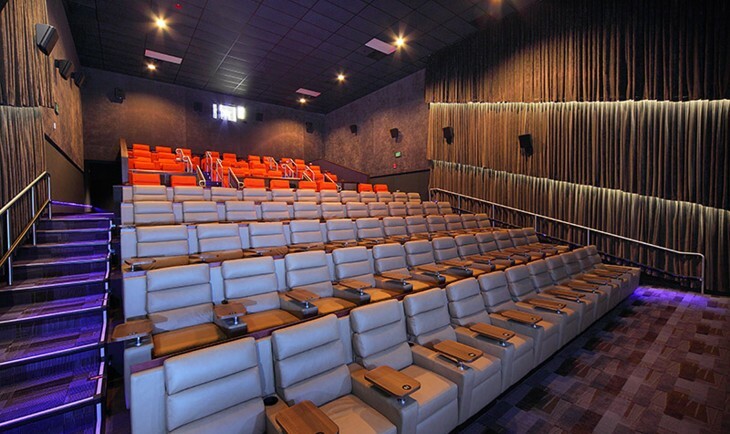 SWIII Wall Light illuminates pathways and steps.Guardian Step & Aisle System distinguishes carpet to floor and step edges.Vanguard Illuminated Displays are installed on Guardian raceway to indicate row numbers.C6R Rigid LED Linear Lighting provides a blue "halo" effect at the edges of the movie screen. 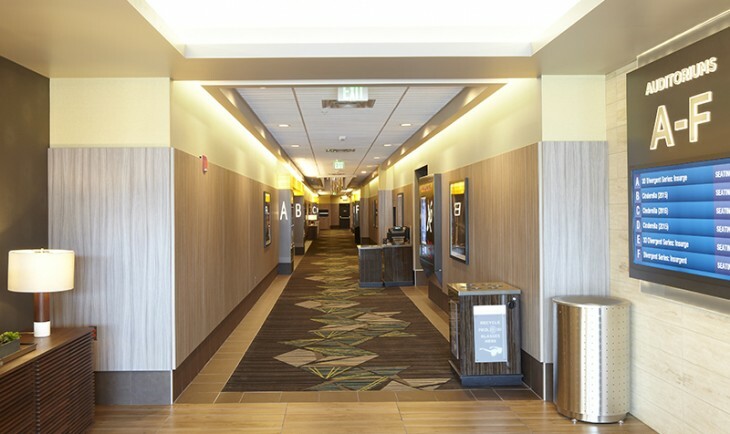 SWIII Wall Light is installed to illuminate pathways.Integrated Rail Lights (IRL) illuminate steps on interior aisles. 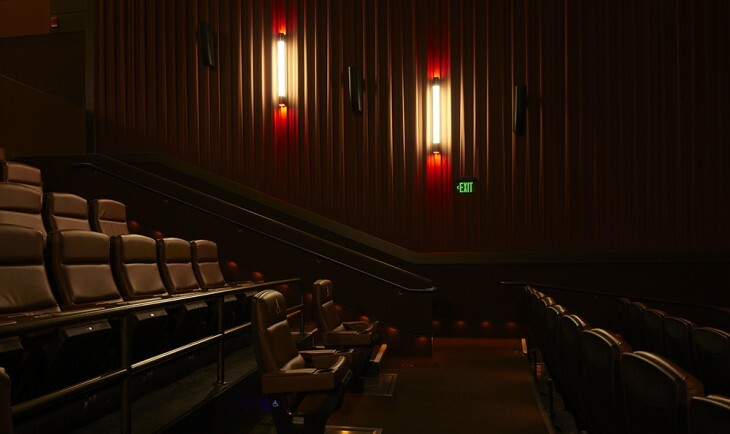 Square Sconces installed on side walls of theatre providing dimmable accent lighting.SWIII Wall Light illuminates pathways and steps. 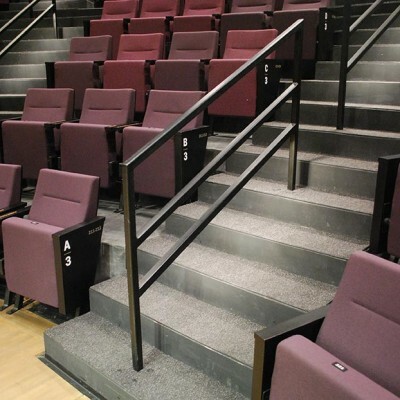 Guardian Step & Aisle System delineates step and aisle edges . 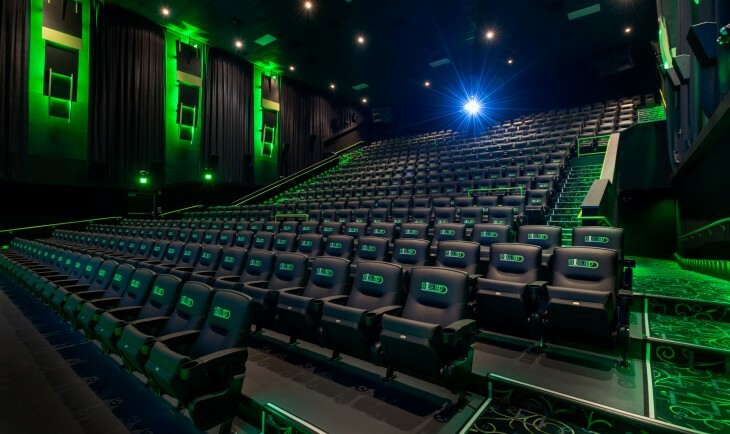 Seat Light II installed on seat edges at the end of each row indicating row number. 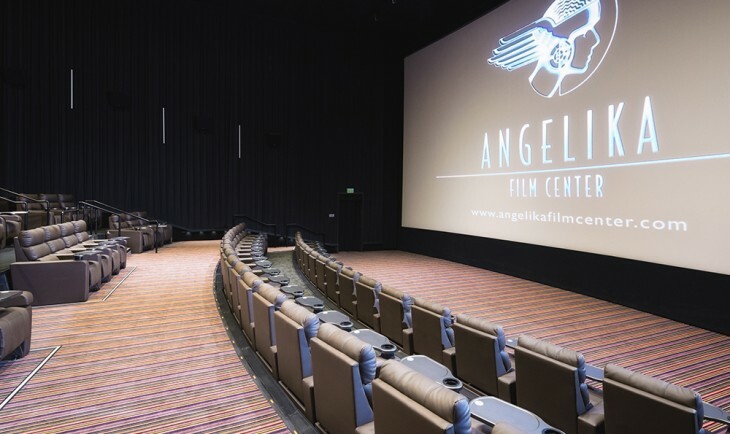 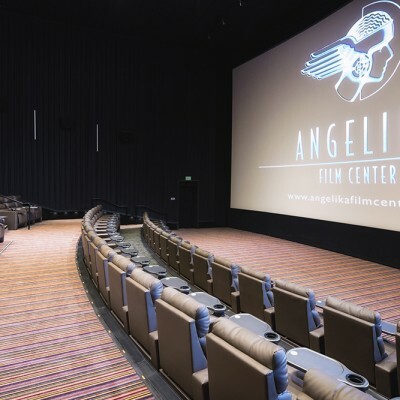 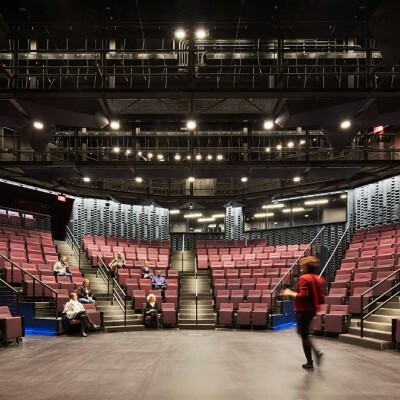 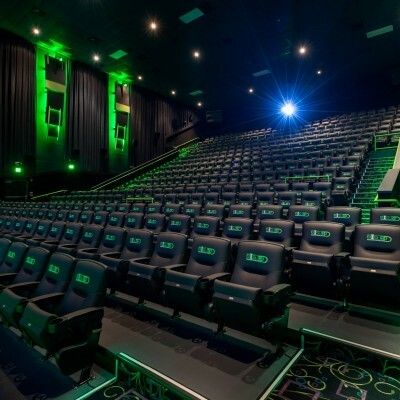 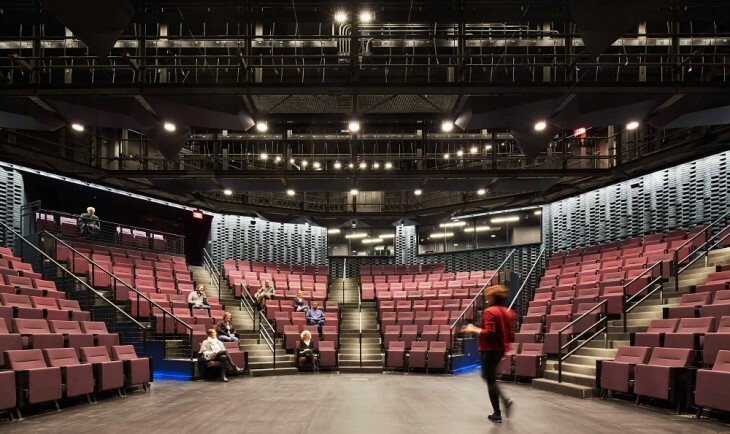 SWIII Wall Light illuminates pathways and steps.Guardian Step & Aisle System distinguishes carpet to floor and step edges.C6R Rigid LED Linear Lighting provides a green "halo" effect to architectural features on the side walls of the theatre. 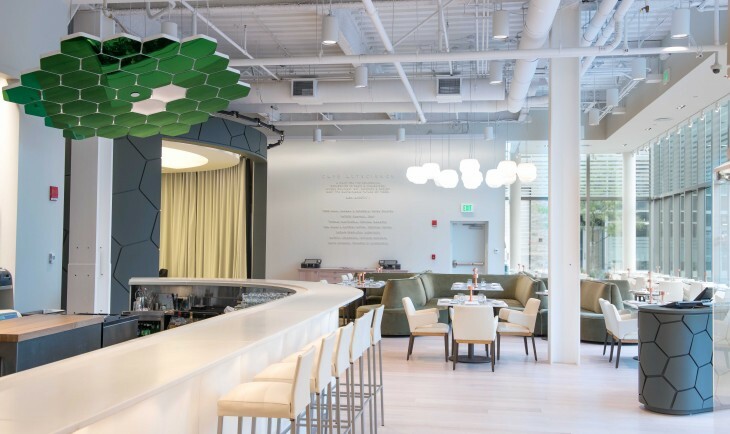 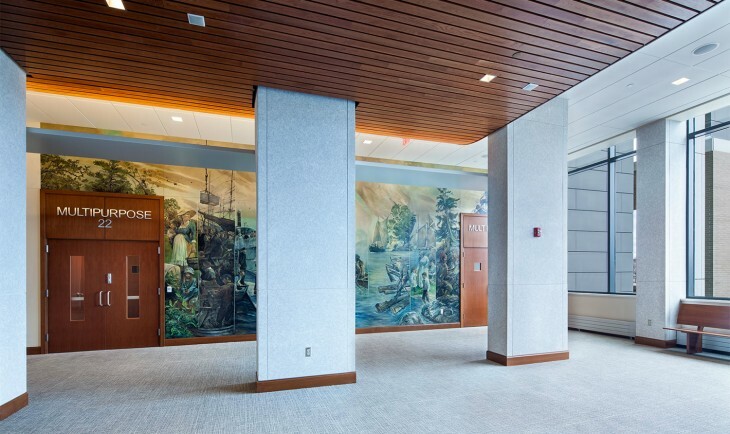 C4R provides a dramatic accent within the tight spaces of the "mangrove" wall while C3R creates a linear ambient effect at the base of the divider panels. 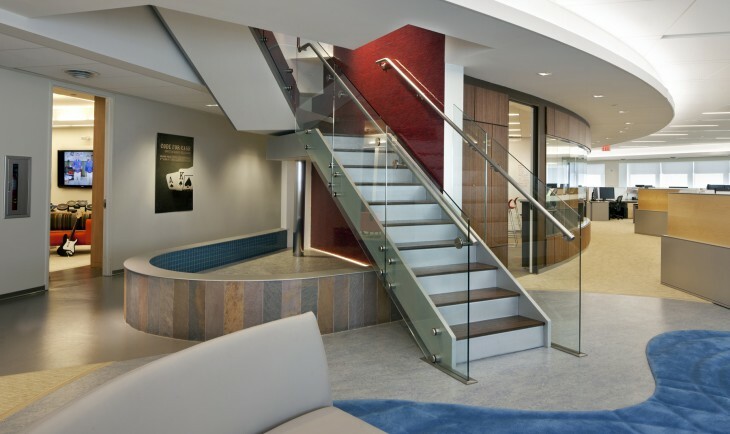 C3R on the bottle steps and shelves creates a dynamic effect. 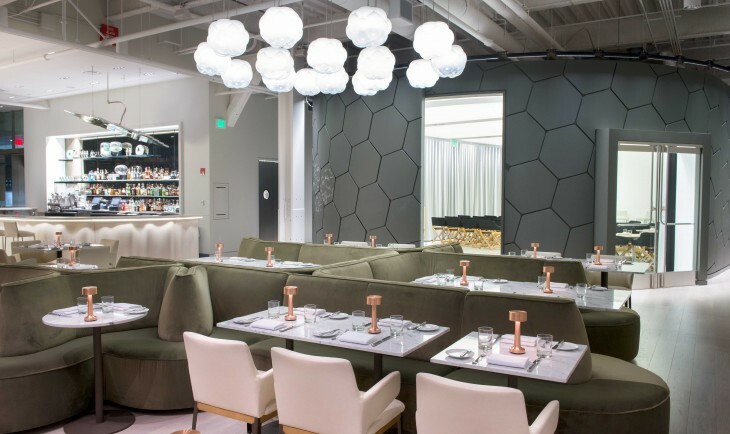 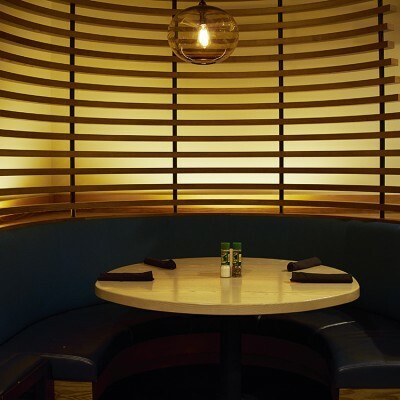 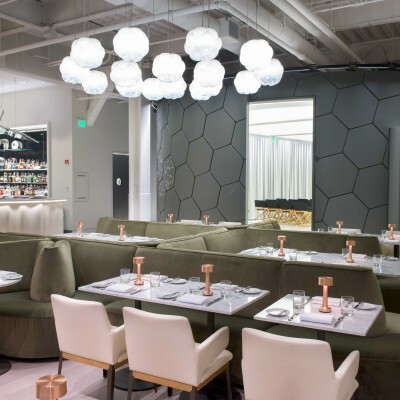 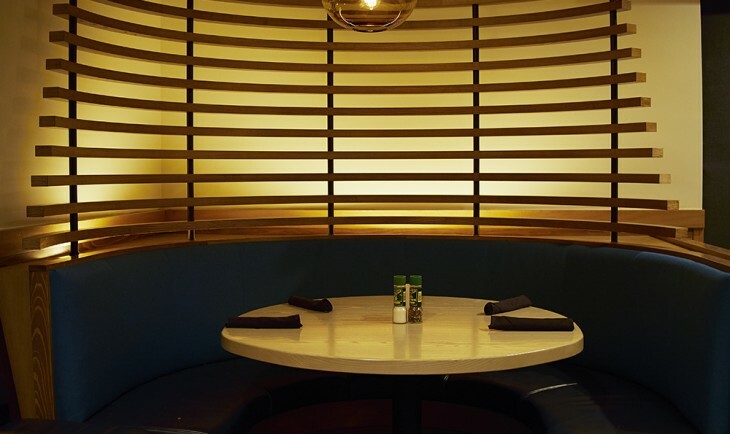 C4S applies a warm, ambient throw of light to the curved back of corner booths. 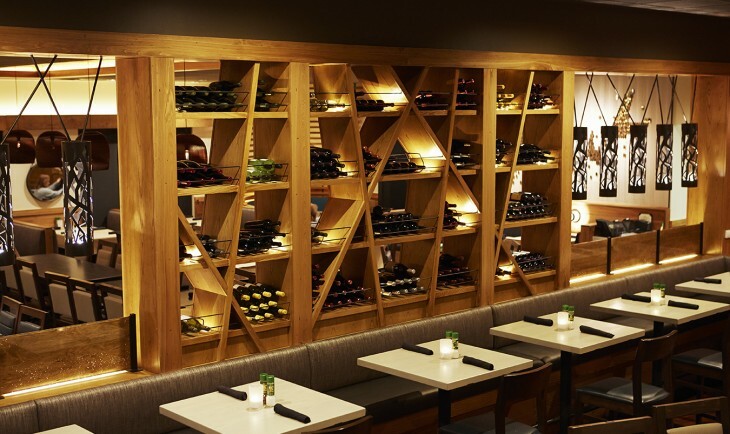 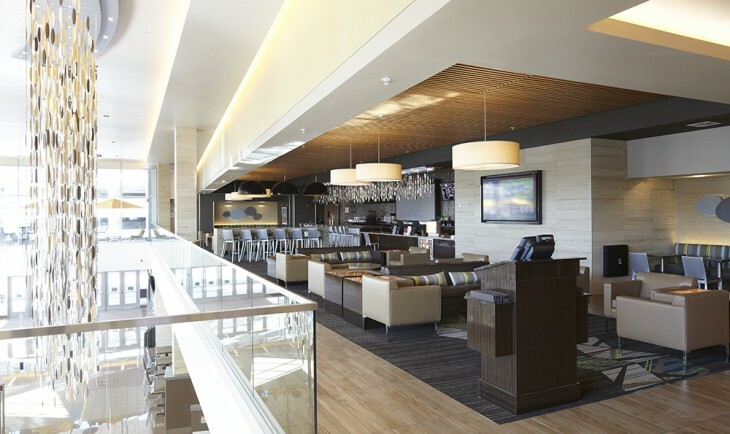 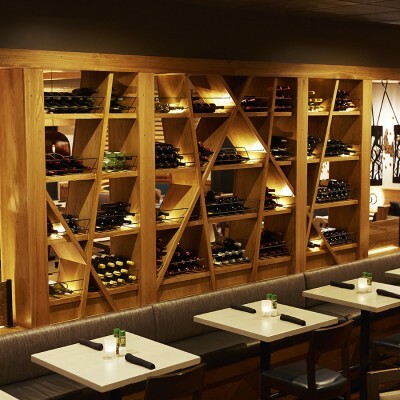 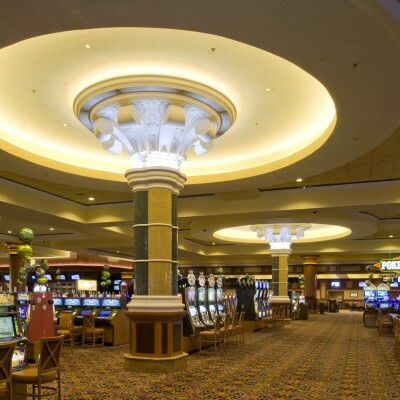 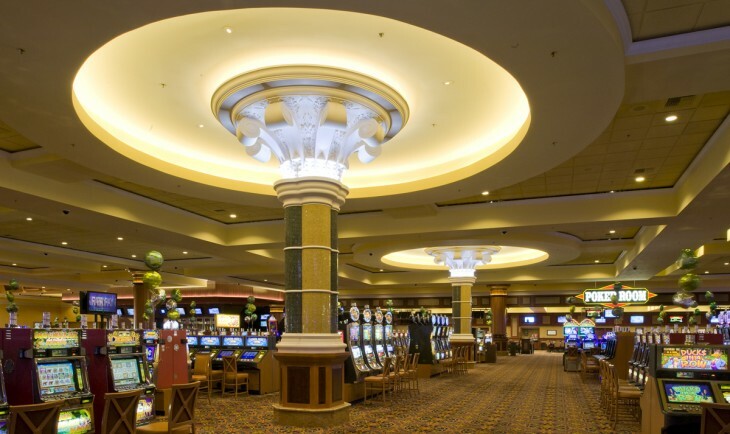 C6S articulated cove lighting creates warm, even accent light in South Point Casino's circular cove features. 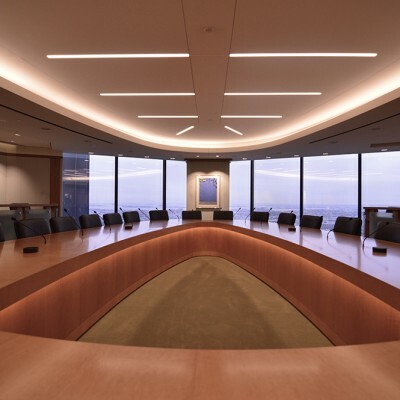 C6S articulated lighting provides even accent light both curved and straight run coves. 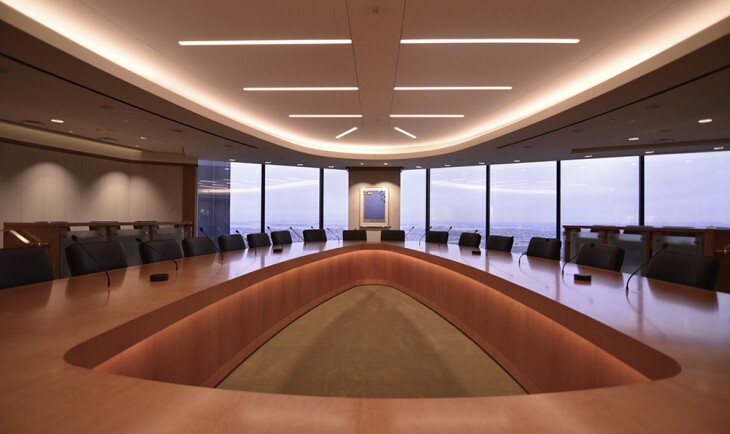 C6S articulated lighting provides even accent light in a series of curved run ceiling cove features. 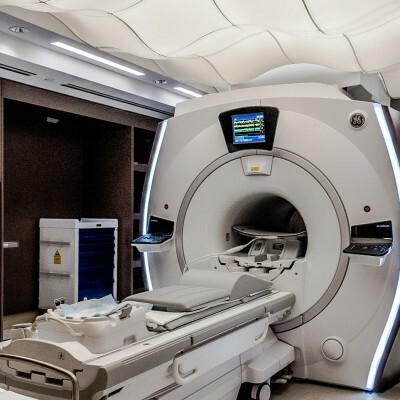 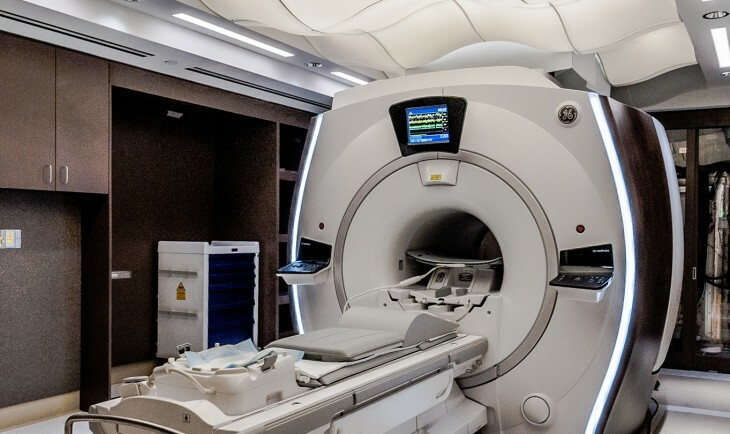 C4R LED linear lighting, with non-magnetic, non-ferrous metal, provides a suitable product for an MRI lab environment while creating an ambient light effect behind an undulating, floating ceiling. 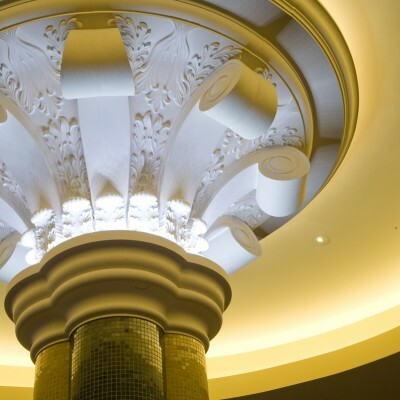 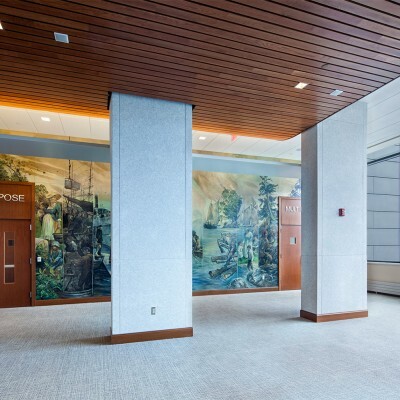 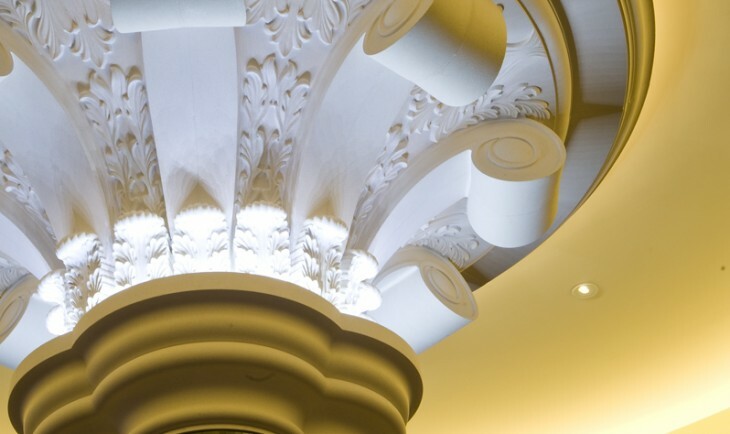 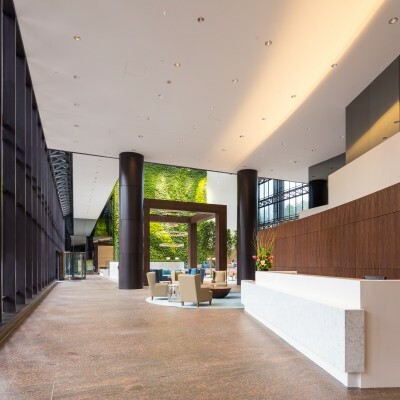 C6S cove lighting creates dramatic accents on curved feature above cove in center's corridor. 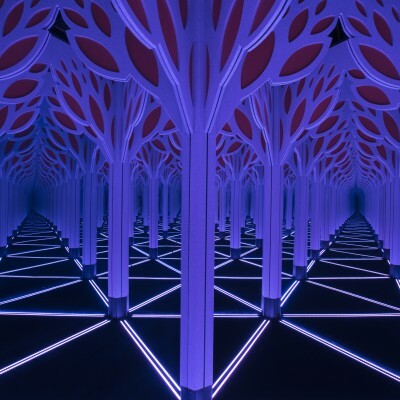 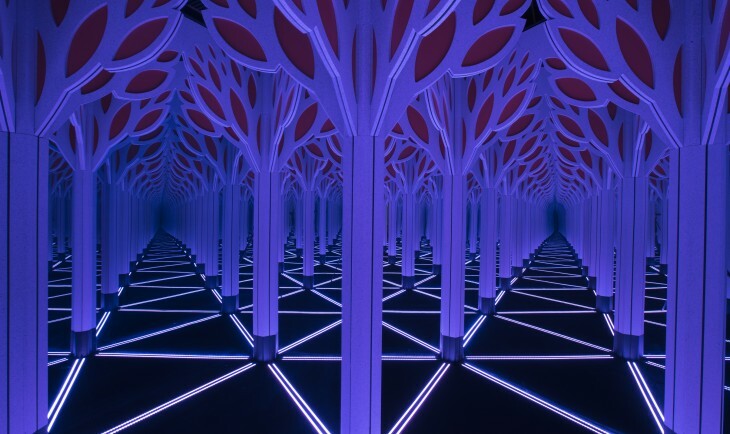 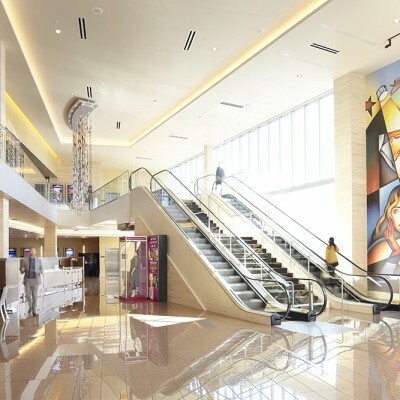 C3R Color Changing lighting, inset into floor, creates a dynamic, fluctuating color wash on unique architectural features. 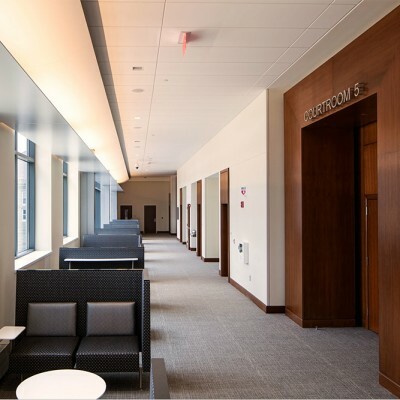 C7R05 Wall Wash provides a warm throw of light to the wood panel wall behind front desk. 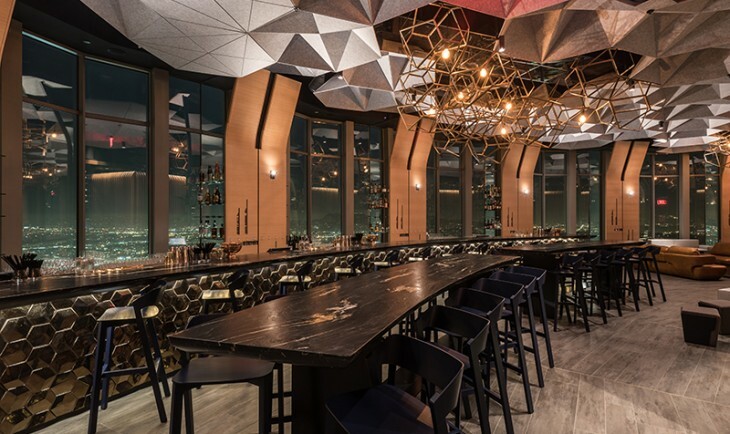 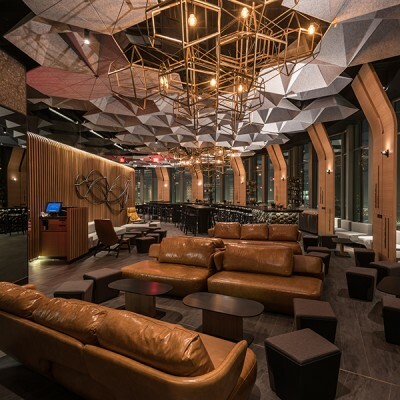 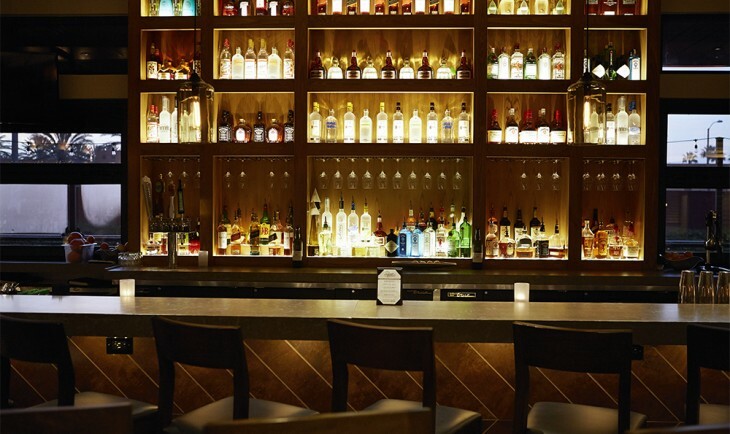 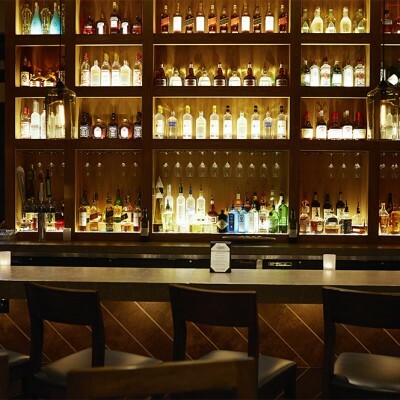 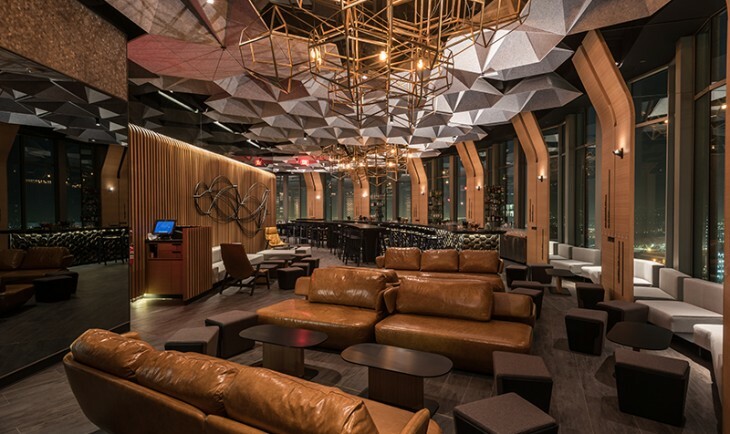 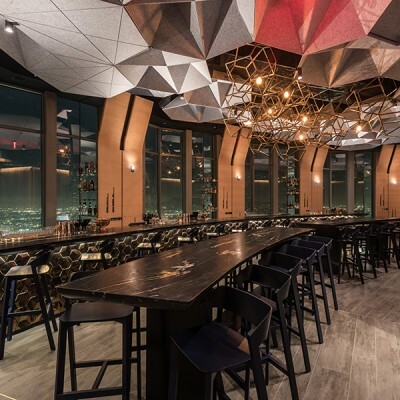 C3S highlights the undulating concrete bar. 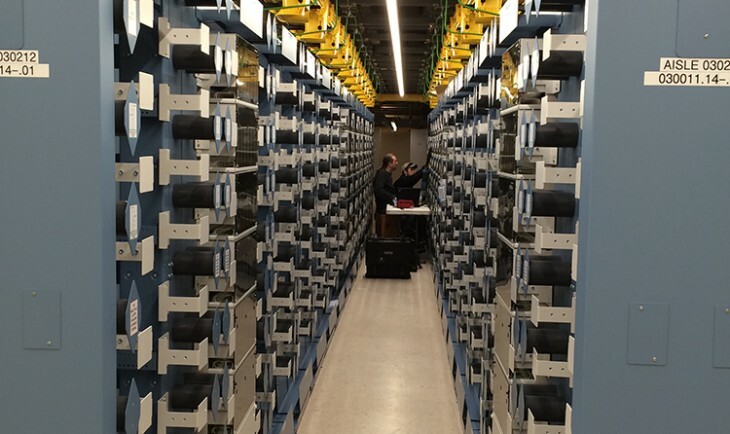 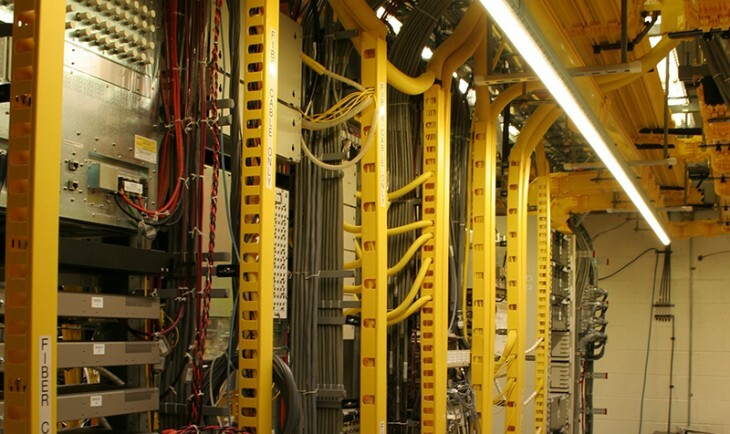 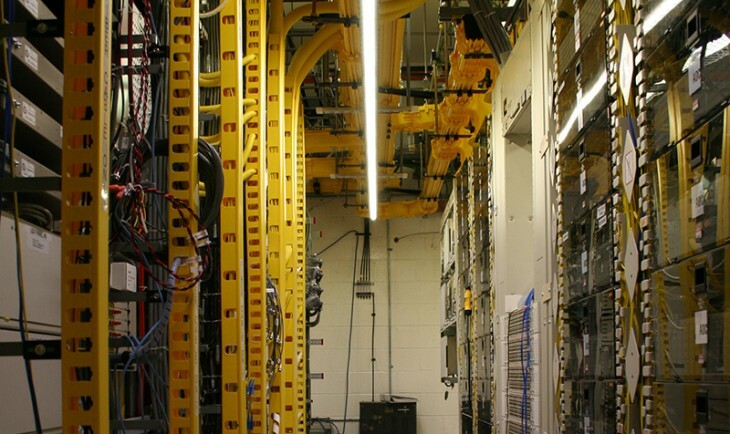 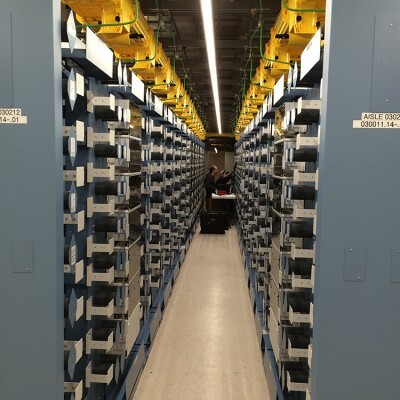 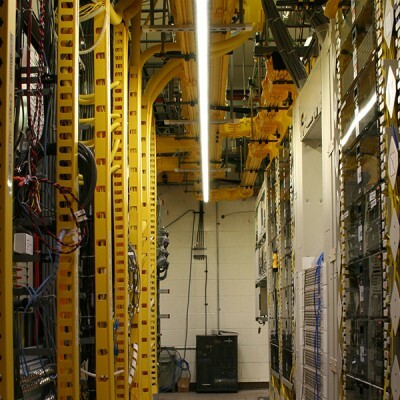 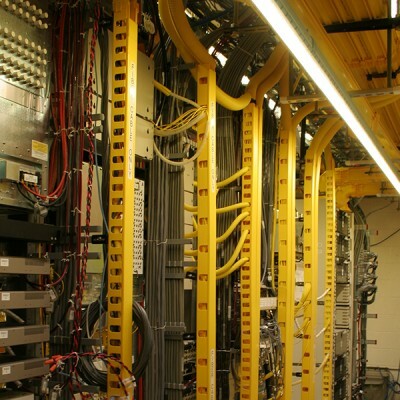 C7R suspended between server racks to provide a high-lumen, low-heat solution required for data center environment. 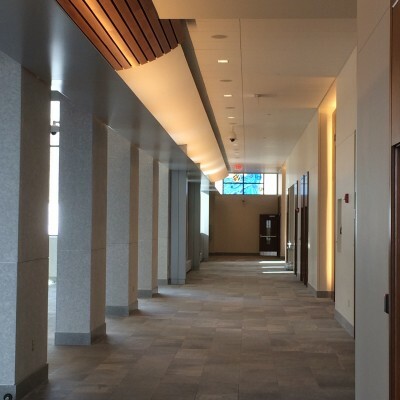 2ft recessed HLS sections illuminate the corridor. 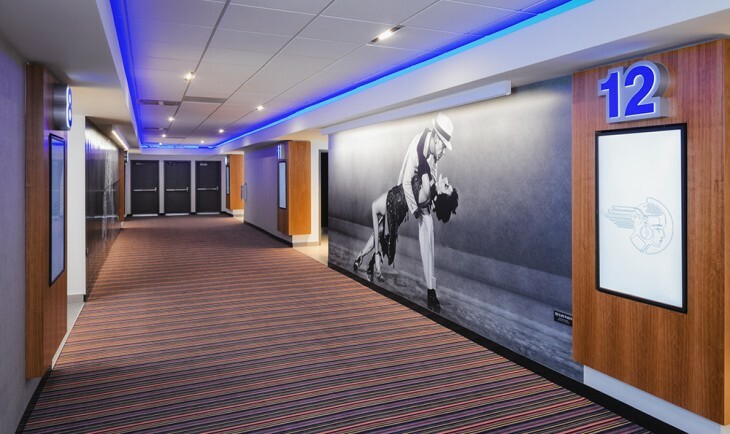 Guardian carpet to floor defines the pathway. 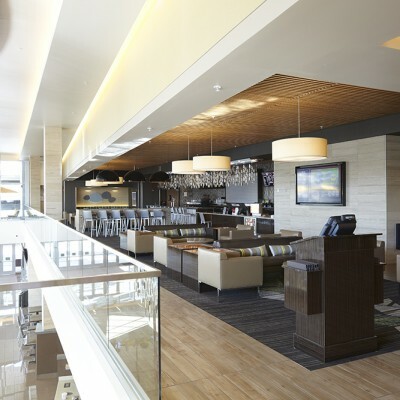 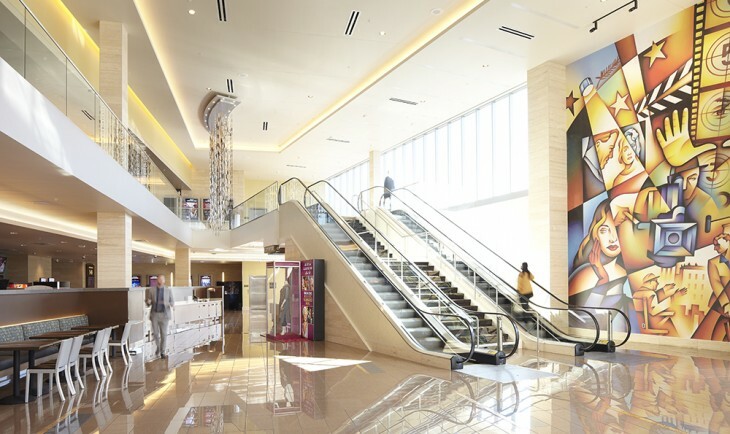 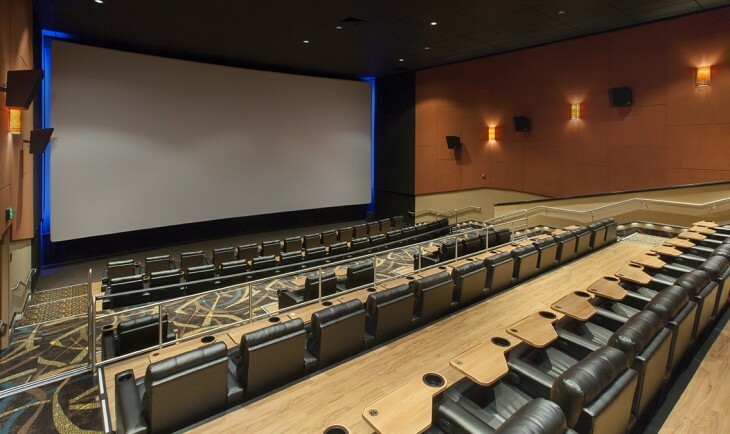 C6R cove lighting creates layered, dramatic accents to the Cinemark Theatres lobby. 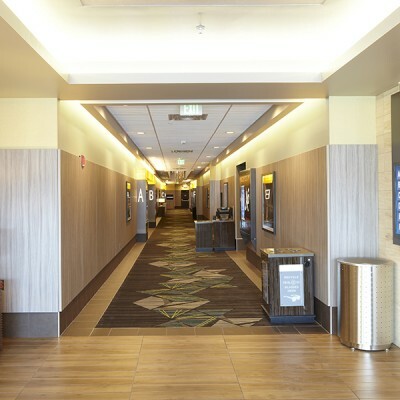 C6R and C4R cove lighting creates layered, dramatic accents to the Cinemark Theatres lobby and hallway features. 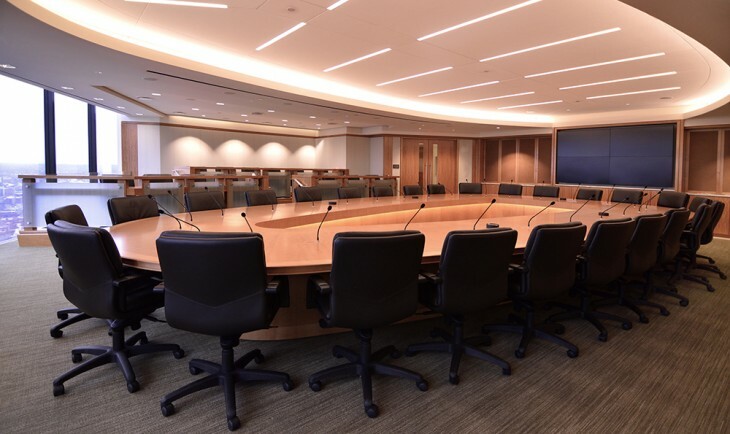 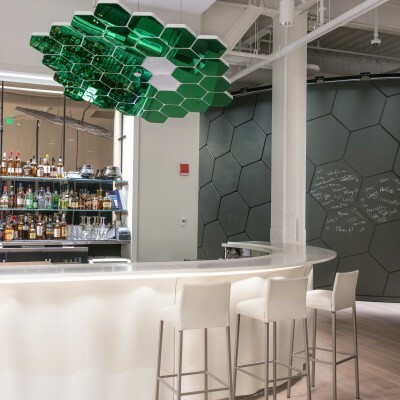 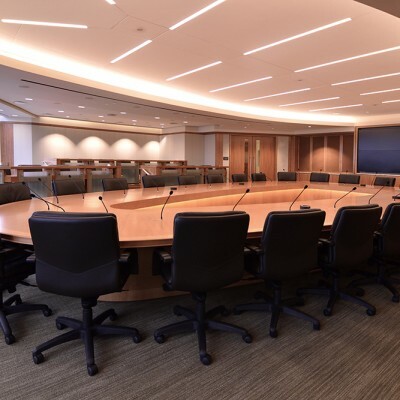 C4S creates an even, mid-lumen effect to the curved ceiling cove feature while C3S provides a complimentary low-lumen accent to the interior of the conference table.